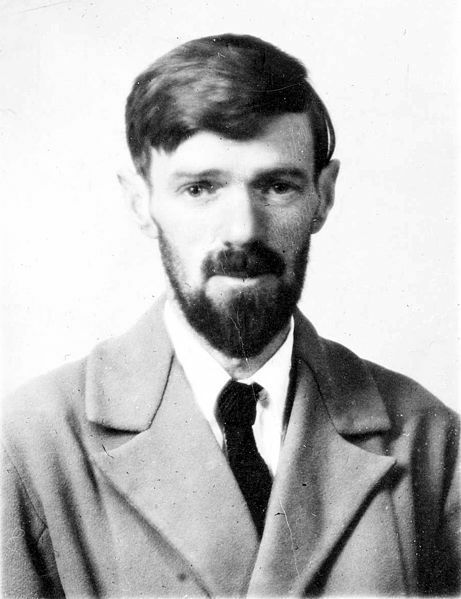 David Herbert Lawrence, born on September 11, 1885 was an English novelist, poet, playwright, essayist, literary critic, and painter who published as D. H. Lawrence. His collected works, among other things, represent an extended reflection upon the dehumanising effects of modernity and industrialisation. In them, some of the issues Lawrence explores are emotional health, vitality, spontaneity, and instinct. At the time of his death, on March 2, 1930, his public reputation was that of a pornographer who had wasted his considerable talents. E. M. Forster, in an obituary notice, challenged this widely held view, describing him as, “The greatest imaginative novelist of our generation.” Later, the influential Cambridge critic F. R. Leavis championed both his artistic integrity and his moral seriousness, placing much of Lawrence’s fiction within the canonical “great tradition” of the English novel.